Colleen is in the Mayan Riviera! We flew out of Calgary so we overnighted at the Radisson Hotel by the airport. The Radisson is a very nice hotel and the staff there is excellent. You have to love those number beds. We flew down to Cancun with Canjet and they were very good. The flight down was 5 ½ hours and we arrived into Cancun on time. The customs area was much better than the last time we were here and we were through customs and in our transfer in 1 hour. Record time. In February we were in customs over 2 hours before we even got to our luggage. So we were really surprised. 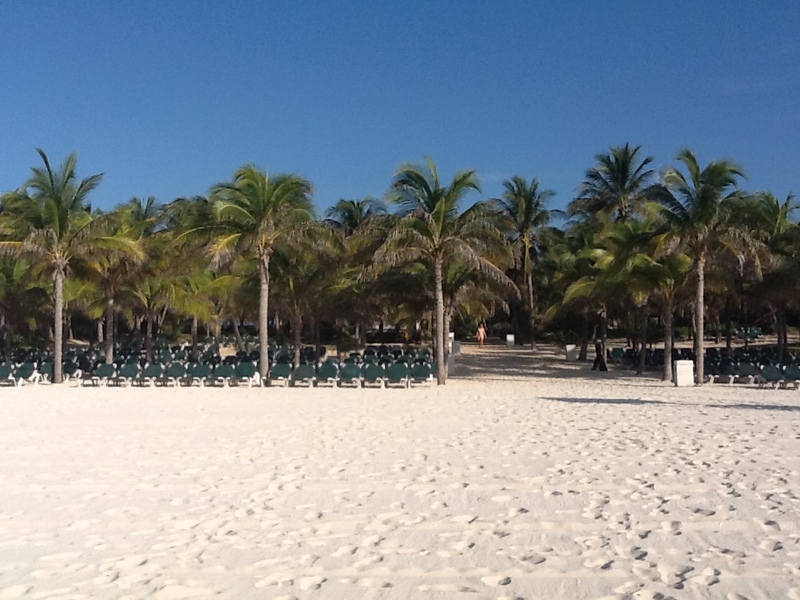 We are staying at the RIU Playacar in the Playacar area and it is like a small neighborhood. We arrived at the hotel, had supper, then headed off to bed. It’s was a long day!